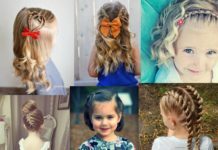 30 Cute And Easy Little Girl Hairstyles Ideas For Your Girl! 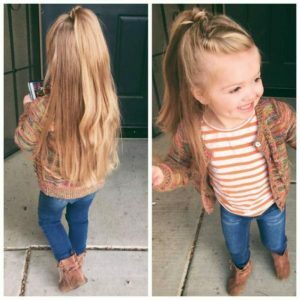 If you’re the parent of a girl, you know that finding cute and easy hairstyles can sometimes be a difficult and time consuming part of life. 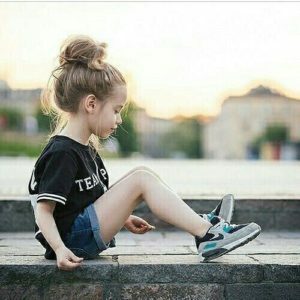 For girls who love to run around, keeping hair secure and out of the way is ideal, especially for long days spent going from school to sports or other extra-curricular activities. 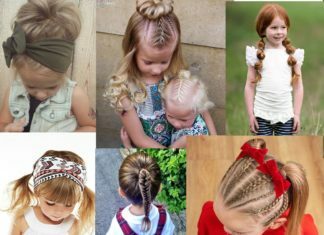 If you’re searching for creative ways to easily style your girl’s hair, things like braids, ponytails, and comfortable styling accessories are a must! 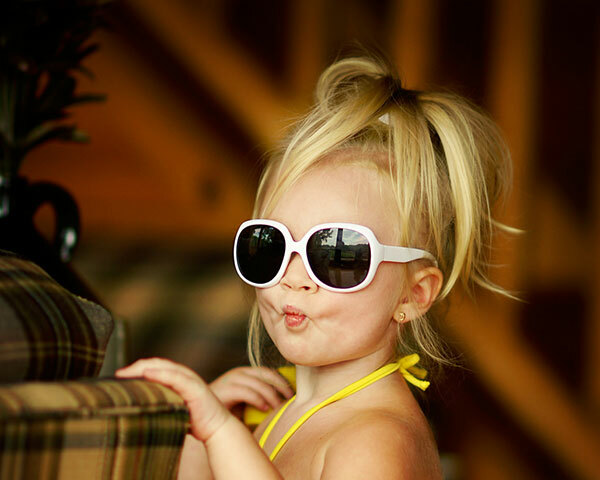 We’ve compiled a list of our favorite hairstyles for girls that are cute, and most importantly, easy to execute! The epitome of a cute hairstyle for girls, classic pigtails are a go-to look for parents of little girls. 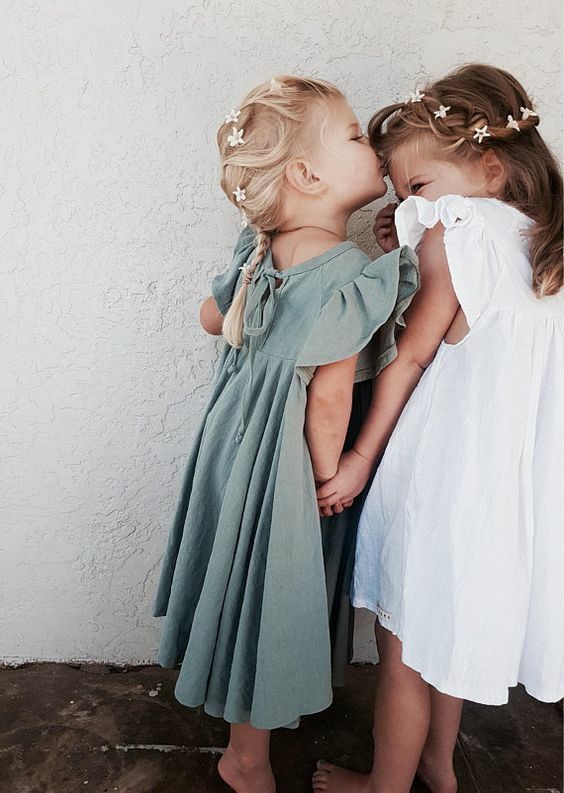 While you can dress them up with accessories for special occasions, we love this simple style that takes almost no time to pull off. 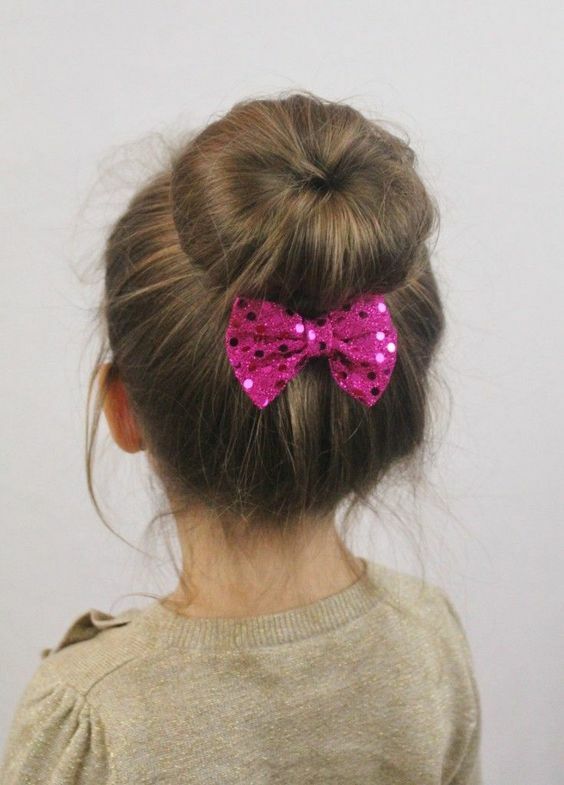 This ballerina bun uses a hair donut to give hair shape and volume, and results in an impressive looking updo with enough structure to stay in place all day long. This easy twist on the double bun hairstyle leaves half of hair down, perfect for days when you’re looking for a fancy but playful style. This cowgirl-inspired look only takes a few minutes longer than classic pigtails, and can be dressed up with ribbons and bows for a special occasion. 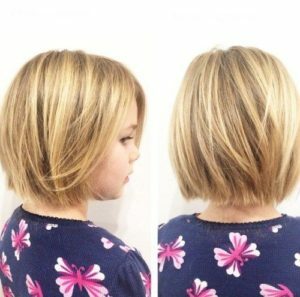 If you’re tired of trying to keep your girl’s hair out of her face, this bob style with short bangs will do all of the work for you. If you can do a three strand braid, you can create this intricate looking headband style! 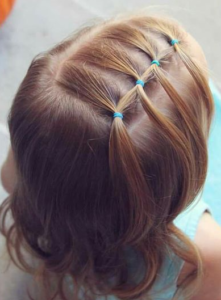 Simply tie together braids from each side of the head, and connect their loose ends together in the back. A protective style for little girls with natural curls, this fun, trendy style keeps hair up and out of the way. 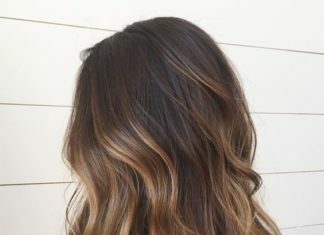 For girls with ultra long hair, this style shows off that length while keeping long pieces away from the face. The front section of hair is twisted together and then tied into a ponytail, and a piece of the ponytail is used to wrap and conceal the elastic. 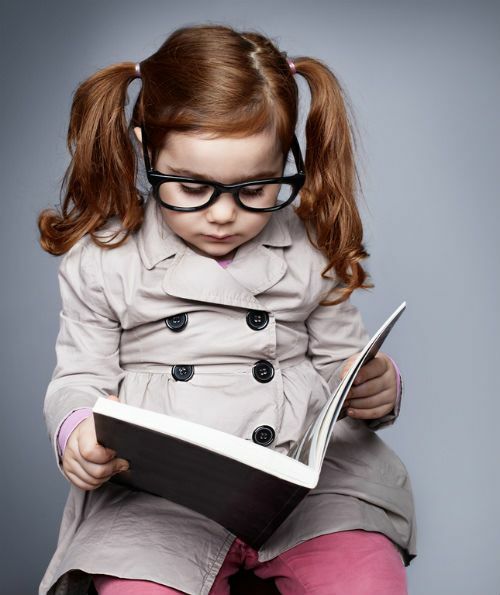 This last step is an extra element that you can leave out to keep things even easier. 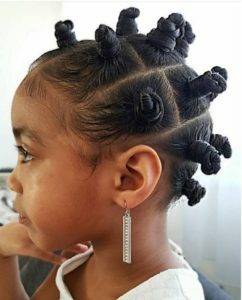 This ponytail chain is a unique but easy way to keep your girl’s hair out of her face. 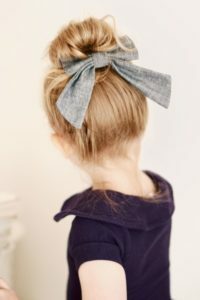 Tie bangs back in one small ponytail, then add a portion of this ponytail to one tied directly behind it, continuing on until you’ve reached the crown of the head. Colored elastics can add an extra element of fun to this style! 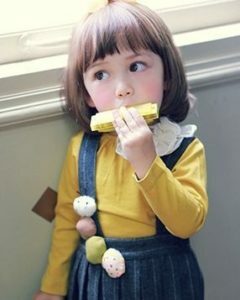 These sweet ringlets tied with ribbon are an easy way to dress up the classic pigtail style. 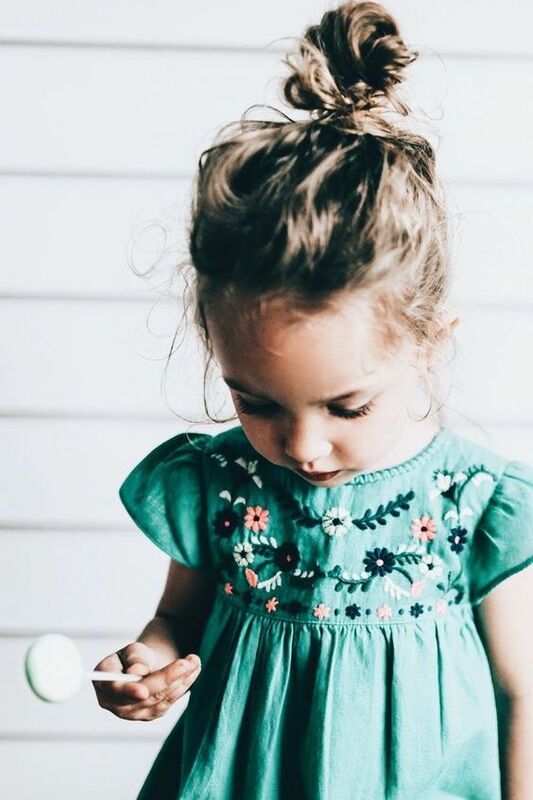 To avoid using heat styling that can be dangerous with a squirmy toddler, you can use rags or sponge rollers to set hair in curls. Girls’ hair can be hard to keep in bun styles, especially if it’s too short to wrap or too finely textured to be held with pins. 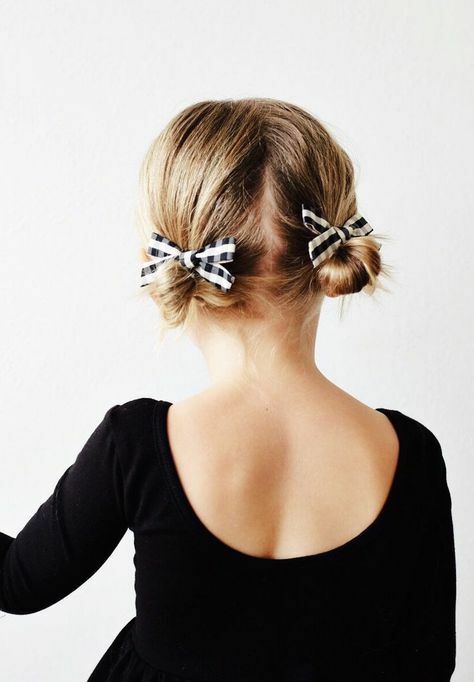 This ultra simple bun style requires only elastics, and creates buns out of folded over ponytails. 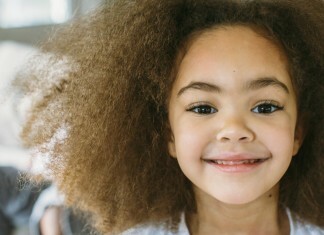 For little girls with naturally textured hair, we love the idea of leaving hair loose to show off the curls. 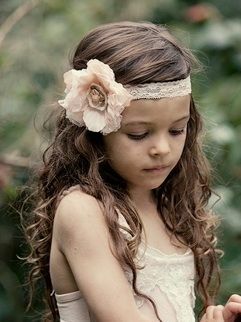 This peacock feather headband adds a special touch, but you can easily swap it out for a simpler headband or hair clip. If you’re just looking to keep hair out from falling in the face, this simple braided bang is your new style go-to. 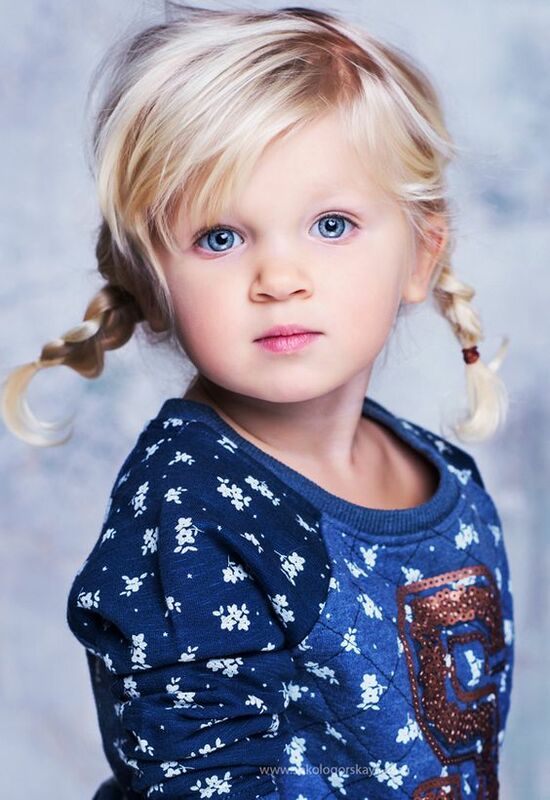 For little girls with finely textured hair, braids hold much better than clips and pins. 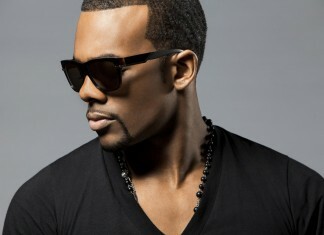 This style hits the perfect note of looking fancy and complicated, but actually being very easy to put together. 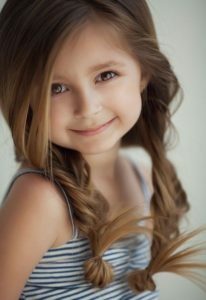 Simply tie hair in pigtails, and braid each one in a three-strand braid, securing with elastic. Wrap each braid into a bun shape, and secure with pins or by wrapping another elastic around the bun. Try it for dance recitals, school concerts, or other special occasions. Create a cute braided headband for long haired girls by creating a simple braid behind one ear, then wrapping it around the head and pinning to the other side. 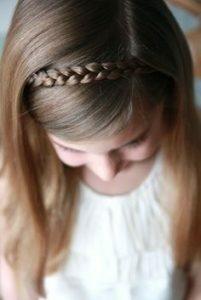 If you want to get more complicated, make it a five strand or fishtail braid. 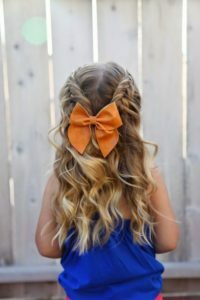 Fishtail braiding may seem intimidating to some parents, but once you’ve learned to do it it becomes second nature, and adds an extra element to your hairstyling. 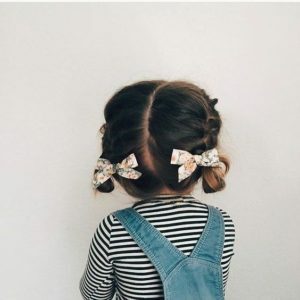 Separate each pigtail into two sections of hair, and create your fishtail braid by crossing hair from the outside of one section to the other. 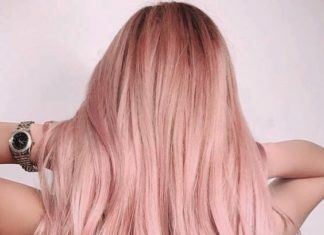 Alternate sides and repeat until you run out of hair! Messiness is part of a fishtail braid’s charm and character, meaning you don’t need to worry about getting every hair perfectly in place. This bob style has textured ends and strategic layers that help it look like a fashion-forward grown up style, while making it easy to style and manage. 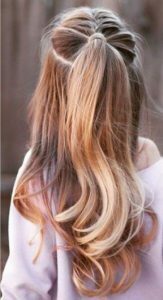 If you’d like to be able to easily tie hair in a ponytail, go for this same cut in a slightly longer, shoulder-grazing style. 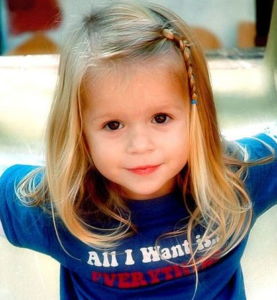 This blast-from-the-past style is a great way to dress up hair on a special occasion. 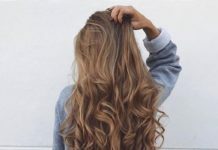 Depending on her specific hairstyle, you can achieve these ringlets by curling hair with rags, perm rods, or a heat styling tool like a curling iron. 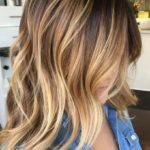 This style looks intricate but is surprisingly easy to pull off. Start by tying the front section of hair in a ponytail, and then gather the section behind it into a pony as well. 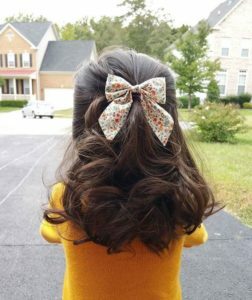 Before you tie the second section with an elastic, gather the first ponytail with it, and secure them together. Repeat as far down the head as you’d like, before tying hair in the final pony. 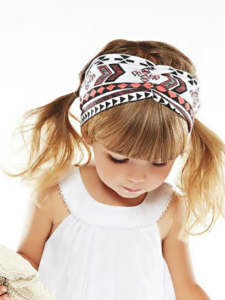 Head wraps add some styling pizazz to classic pigtails, and keep little ears warm on brisk days in spring and fall when a winter hat isn’t quite called for. These fun wraps are a great way to add bold patterns to your styles, and they work well as hand-me-downs from older girls to younger siblings. 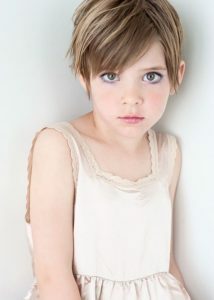 For girls who aren’t into long styles, this cute pixie is easy to style and shows off a unique personality. When you need to dress it up, accessories like headbands and wraps work just as well with short hair. 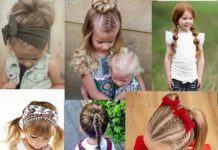 Although french braided styles can be worn at any age, there’s something extra sweet about a little girl with french braids. This style works especially well for very little ones if you’re hesitant about using heat styling tools. 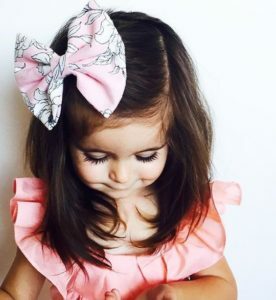 For girls who hate having their hair put up, a fancy headband is one of the simplest ways to dress up a down-do, while keeping long pieces out of the face. 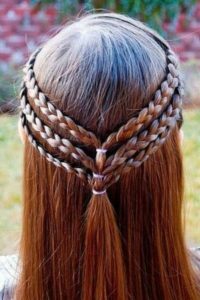 Dutch braids might look fancy, but they’re just french braids where the hair is wrapped under instead of over. 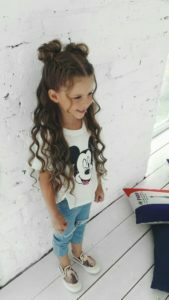 This style creates two dutch braids that have then been gently pulled apart (also called “pancaking”) to create a softer, more voluminous look. 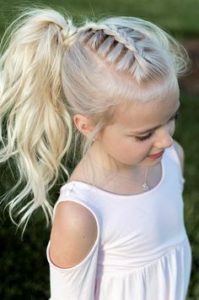 Putting a sassy spin on an old classic, this high ponytail is just as quick to pull together as a more typical, lower style. 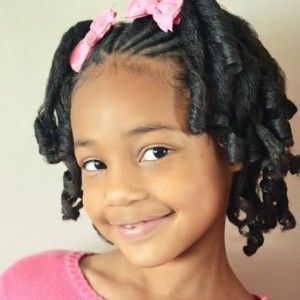 Another fun spin on pigtails that only takes a few extra minutes to pull off, rope braids are created by dividing hair into two sections, and wrapping them around each other, then securing at the bottom with another elastic. Fully braided styles like this can be time consuming to execute, but once they’re in place you shouldn’t have to worry about styling hair for the next several days. 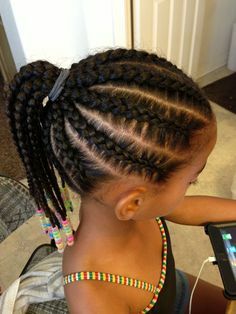 To keep braids looking neat and in place for as long as possible, have your girl sleep on a silk or satin pillowcase that doesn’t cause as much friction against hair overnight. Put a simple spin on an everyday half up hairstyle by french braiding the front section of hair. We’d recommend trying this style a day or two after hair washing to get a better grip in your french braid. 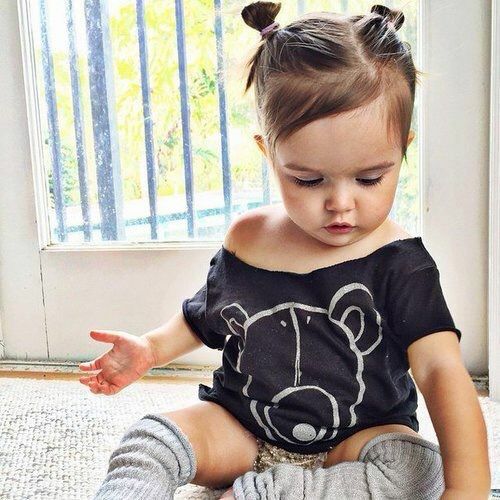 Just like with older women, sometimes a messy bun style is the perfect way to quickly and easily put hair up and out of the way. 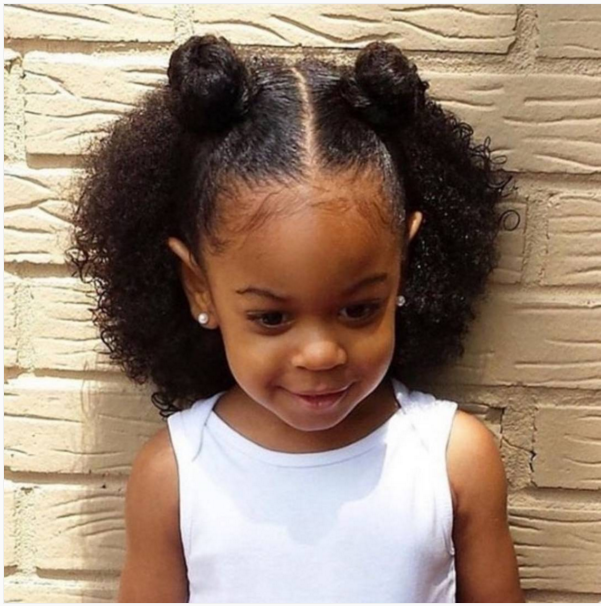 For younger girls with finely textured hair, it can be hard to keep hair in this bun style, and you may need to add a spray clay or other texturizing product to help hair grip and hold. 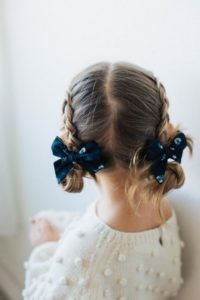 This side dutch braid is an easy way to secure long, thick hair in place, and reminds us of Elsa’s braided style in Disney’s Frozen. 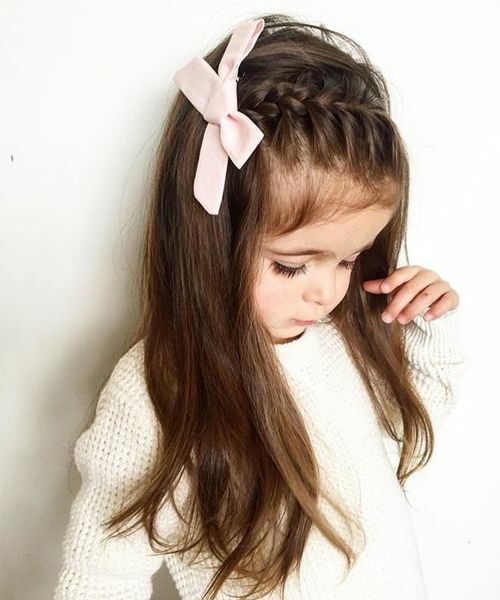 You might need to add a second braid for girls with mid length hair, as it can be difficult to keep pieces from falling out of a single side braid. 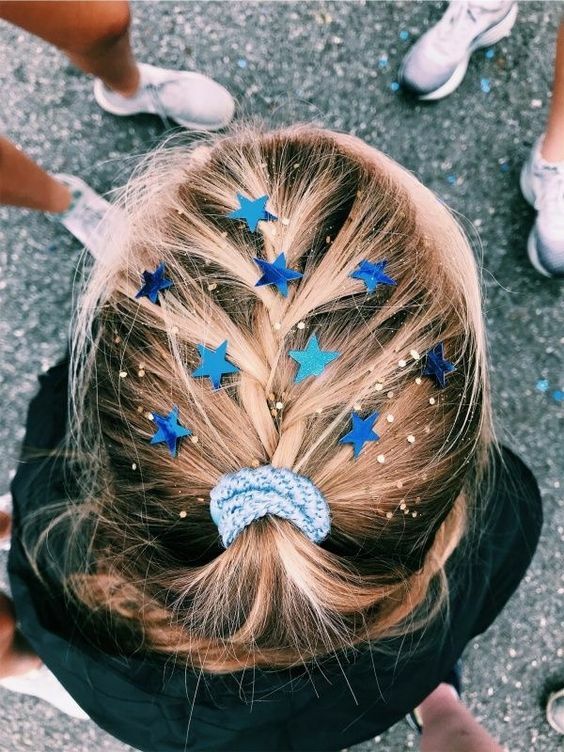 If you have a special event coming, like a Halloween party, or a day at the amusement park, your little girl would love to have a bit of sparkling glitter on her hair! Go for this style if your daughter likes her hair all loose. 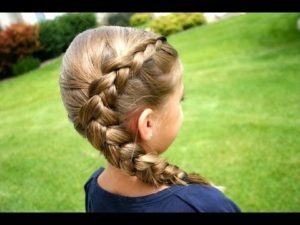 A simple french braid created from one side of the forehead to the other back side while the rest of the hair is loose. 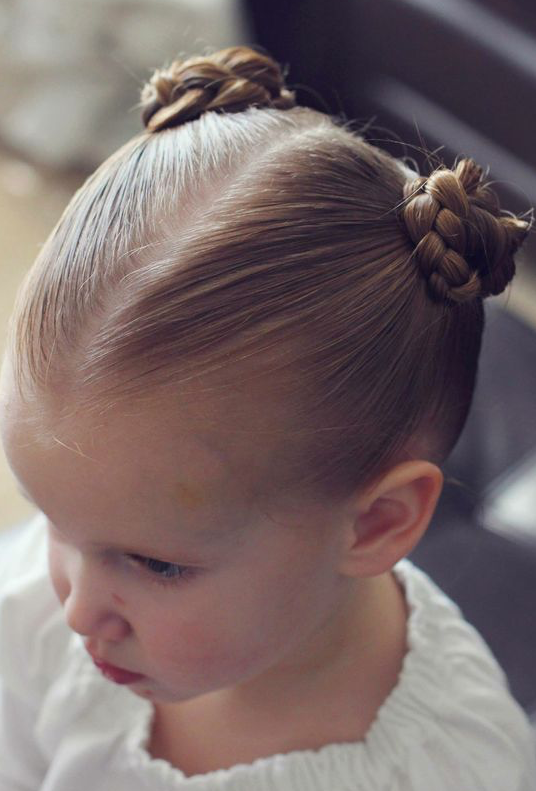 This french braid at the top of the head is pulled into a gorgeous high ponytail! 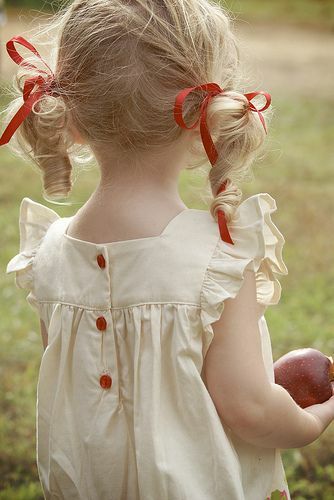 This would make a beautiful updo for special occasions. 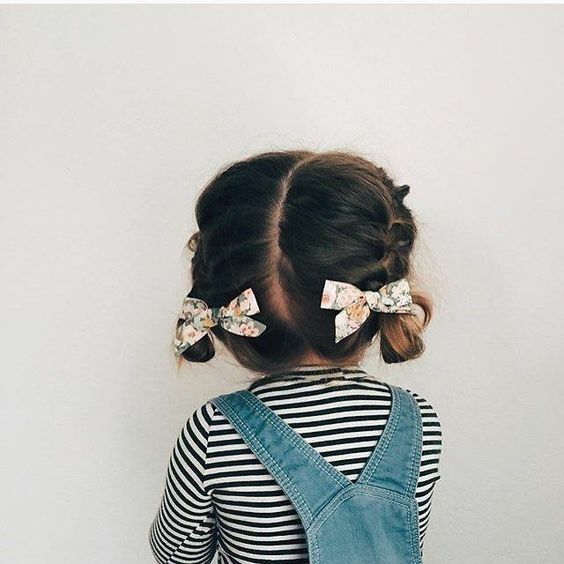 If your girl loves pigtails you can upgrade her look with cute bows and hair accessories. 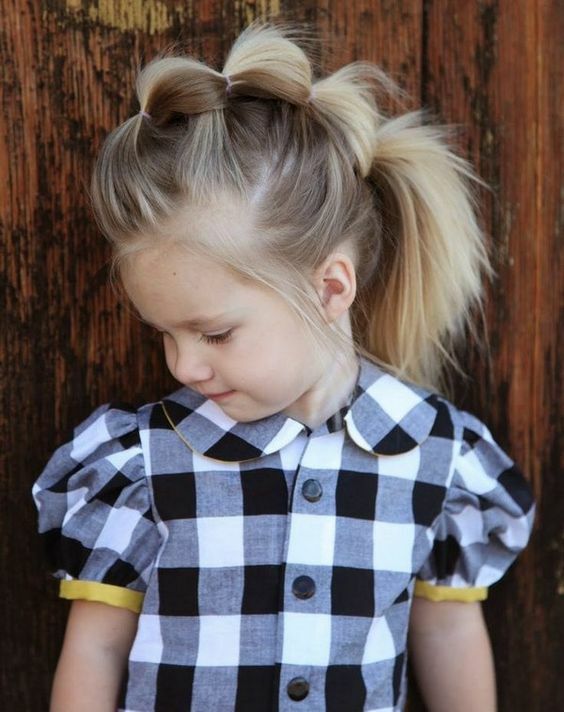 This adorable style features two french braids pulled into two low buns. An accessory like this bow will upgrade any simple updo. If you’re in hurry a messy bun is fast and easy and look effortless and cute! 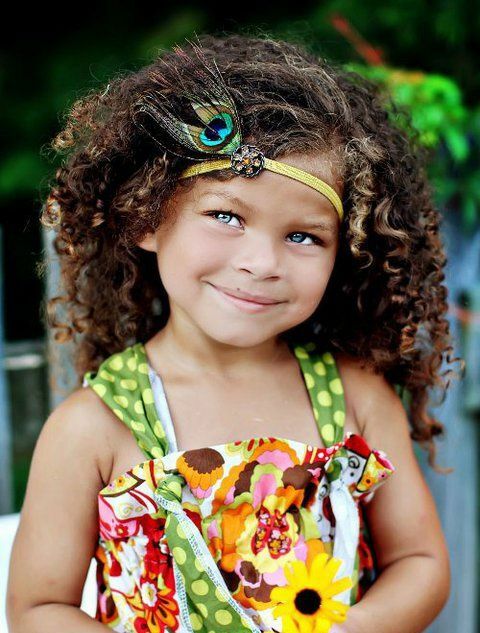 You can create these curly look with Babyliss curler or curl formers. 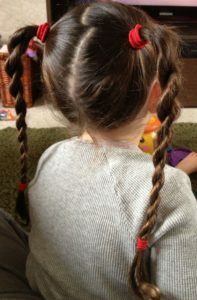 The hair is pulled half up into two braided double buns and the rest of the hair is loose at the back. This romantic and cute half updo with a sailor bow is adorable look for a Sunday! Cute and simple style with a cute bow for an everyday look.